This Las Vegas golf course jewel that is located in the billion-dollar, exclusive Lake Las Vegas Resort, was the first public resort Jack Nicklaus-designed golf course in Nevada, and completely lives up to the reputation of the architect. Unfortunately the course was closed a few years ago due to the poor economy but some of the best Las Vegas golf news of 2014 was that Reflection Bay was flourishing back to life. 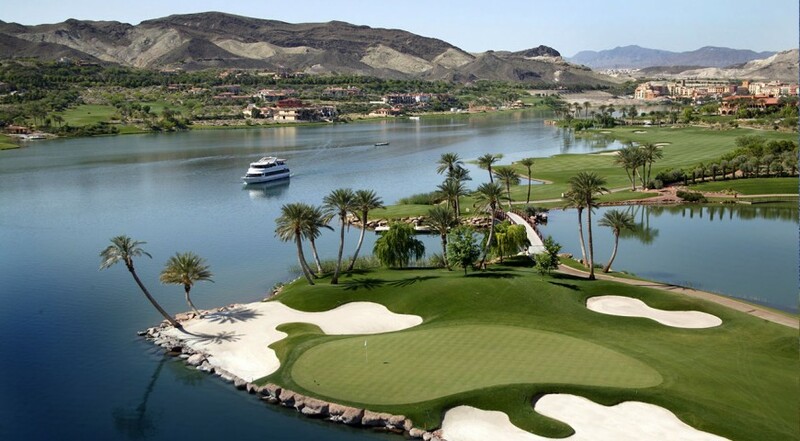 Five holes at Reflection Bay grace the beautiful shoreline of the private Lake Las Vegas, highlighted by the par 3, 17th hole that plays to a near island green and the par 5, 18th hole that hugs the water down the entire right side of the hole. There are three water falls, beaches and many palm trees all combining to separate the Reflection Bay Golf Club experience. 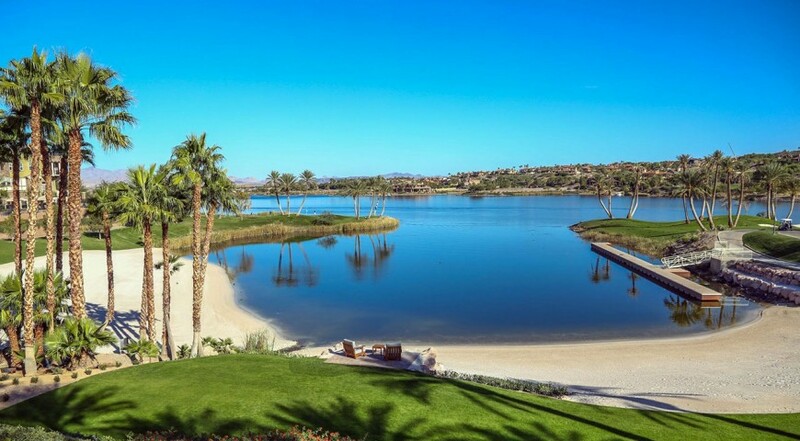 The return of Reflection Bay is a major boost to the master-planned Lake Las Vegas Resort. Nicklaus etched this Las Vegas golf course out of the rugged desert, and came up with a true Oasis. It was an artistic endeavor for the Golden Bear, and he took special care in plotting each bunker, fairway and green. 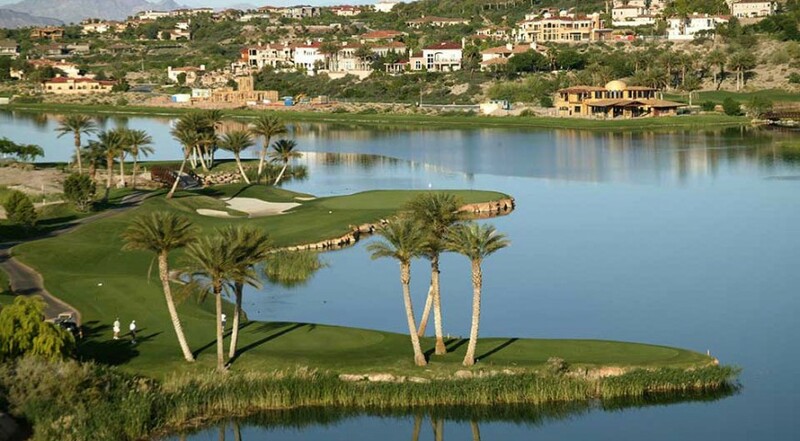 Since opening in 1998, the course has been awarded many different accolades including America’s Top 75 Golf Destinations by Golf Medalist by GOLF Magazine, America’s Top 100 golf communities by Travel and Leisure, best new upscale course by Golf Digest, and best overall experience by VegasGolfer Magazine plus many others. Golf packages are available at the Westin Lake Las Vegas, the resort that overlooks Reflection Bay. The Westin Lake Las Vegas is a perfect spot for a family vacation, a romantic getaway or a corporate event. Reflection Bay Golf Club is also the home of the pros because LPGA Tour sensation Natalie Gulbis plays and practices at the course and the layout is a former host of the Wendy’s 3-Tour Challenge. In casual moments, Nicklaus has called the par 4, 455-yard 7th hole that plays into the lake (the first of the lake holes) his favorite because it was inspired by his experiences at the British Open. The hole requires a precise tee ball before a knock-down shot is played into the bunker-guarded green.